Have you heard of Adam Khoo? I’m sure you would if you are a parent or an entrepreneur! Co-founder of Adam Khoo Learning Technologies – one of the largest training and educational outfits here in Singapore – Adam Khoo was famous for becoming Singapore’s youngest self-made millionaire at the age of 26. Together with his partners, Adam runs several businesses in education, training, learning centres, pre-school education, fund management and advertising, yielding a combined annual turnover of $50 million. Like many of you, I was curious to know what a typical Adam Khoo talk was like. Thanks to an invitation to NTUC’s Future Leader Summit, I had the chance to learn from Adam Khoo himself. 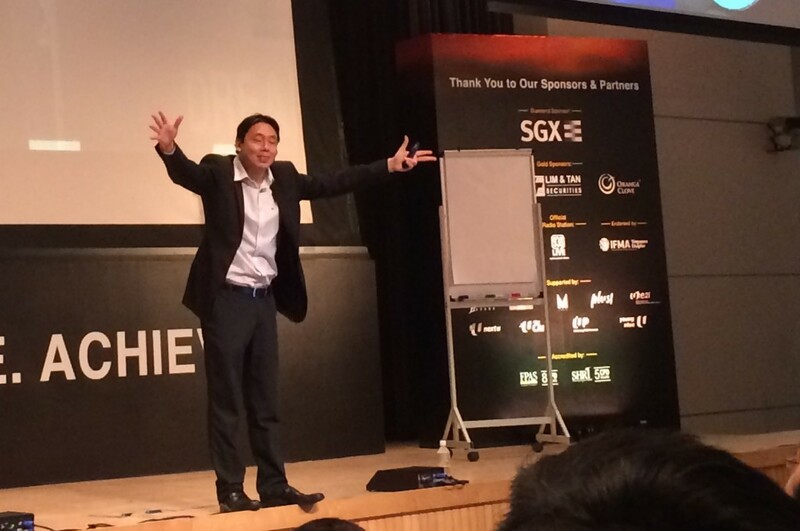 Charismatic, humorous and dramatic, Adam Khoo is an excellent speaker. Delivering his presentation with much aplomb, he definitely knew how to work a crowd. Through personal anecdotes and the use of Neuro Linguistic Programming (NLP) techniques, Adam managed to get much of his message across. The title of his talk? “Winning the 21st Century Game – Develop the Mental Blueprint for Success”. The 21st century is the Knowledge Age. Unlike the Industrial Age of the 20th century, the rules of the game have changed. Local teams, competitors and markets –> global teams, competitors and markets. Cross cultural skills are more vital than before. Slow moving information and technology –> fast changing information and technology . One career in life –> multiple careers in life. Following rules and being efficient –> changing the rules through innovation. 5% with university degree –> 50% with university degree. Yes, that piece of paper is now a commodity! 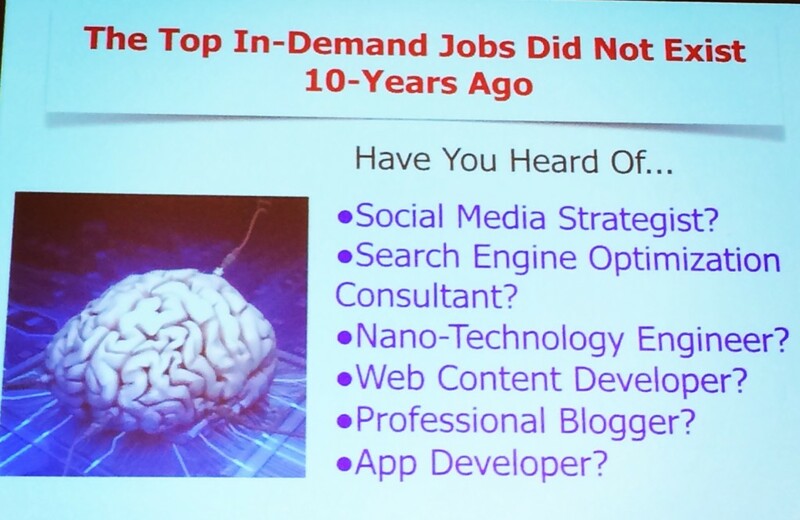 According to Adam, the most in-demand jobs in this day and age did not exist a decade ago. Many of them are unique to the digital and social age as you can see below. And no, I did not ask Adam Khoo to put those jobs up there! In the 21st century, individuals and companies must adopt a mindset of continuous and never ending improvement. Maintaining status quo will simply not do. The critical thing here is to ceaselessly innovate to create value for your customers. If you fail to so, you can be an industry leader now but be bankrupt in five years. For example, just look at the handphone business. In the past, Motorola ruled the roost. This was followed by Nokia. Thereafter, Blackberries came into the picture. These days, it is Apple’s iPhone and Samsung’s Galaxy phones which are dominating the market. 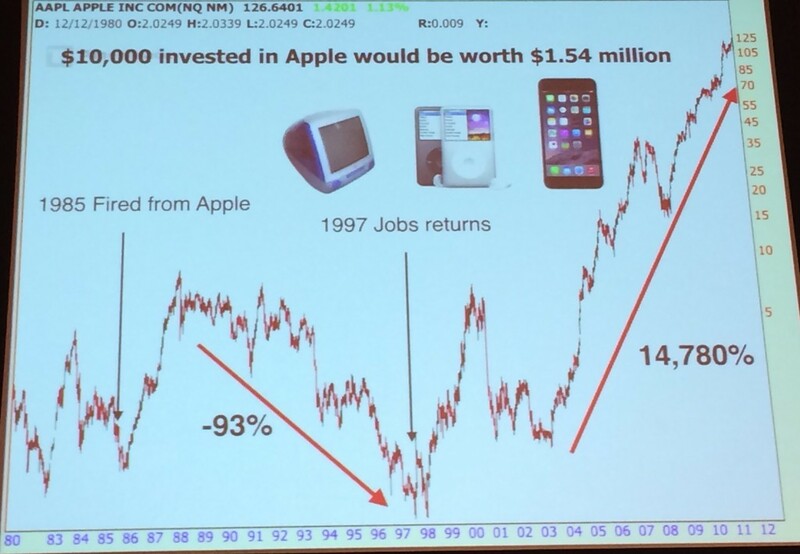 Speaking of Apple, if you invested $10,000 in Apple stock at its lowest in 1997, your stock would now be worth over $1.5 million! In the area of search engines, Google was the last player in the business. However, it has triumphed over previous incumbents Alta Vista and Yahoo!, capturing a 72% market share. Adam Khoo also shared how he used to to spend $1 million on newspaper ads. Back then, it costs $1,500 to acquire one customer for seminars. Using Search Engine Optimization (SEO), social media, and targeted digital advertising, he now spends less than $200.000 a year. However, his business grew by more than five times. Within a year, he grew his Facebook fan base to over 280,000, and is now venturing into Twitter. Do you want to live above the (poverty) line or below the line? If you wish to create more wealth and success in your life, Adam advises you to be responsible for all aspects of your life. By taking 100% responsibility and control over your life, you can gain greater power. In order for things in your life to change, you need to change first. If you blame your boss rather than assume responsibility, guess who ends up controlling your life? The moment you blame someone, you give that person the power to control your life. In order to do well in life, we need to reframe the way we view our life experiences. E = Events (10%). This are the things which happen to us due to the external environment. Good or bad, they are often out of our control. Unfortunately, some people just let events in their lives shape their outcomes. The thing is this. Successful people have personal power. If you can’t solve problems at your level, God (or the universe) will not give you more problems to solve. Thus, it is important for you to develop resilience and adversity. By improving your adversity quotient, you will be better geared to succeed in life. Adam next shared the story of Mr Lim Tow Yong, former boss of Emporium Holdings group. At a ripe old 72 years of age, Mr Lim owed the bank $80 million due to bad business decisions for his retail business. Despite facing such adverse circumstances, he did not sack the bulk of his employees or give up. Instead, he pivoted his business. 10 years later at 82 years of age, Mr Lim had a net worth of US$4 million. What’s more important was that he gave it all away to his employees before his death. Adam suggested that Mr Lim Tow Yong had both personal mastery and people mastery. Thus, true wealth is in the way you think, the ideas you have, and the friends you have. To achieve anything in life, you must have control over yourself, and be able to influence the people around you. With personal and people mastery, you can choose to become a victor rather than play victim. How can this be a blessing? What do I still have? How can I turn this around? Questions direct focus. Where focus goes, energy flows. When you ask the wrong questions, you end up focusing on the problem. Focus on what you have, instead of what you do not have. Everything happens for a reason. The worst experiences in your life can become the best lessons in your life. Towards the end of his talk, Adam spoke about the importance of 21st century life skills. 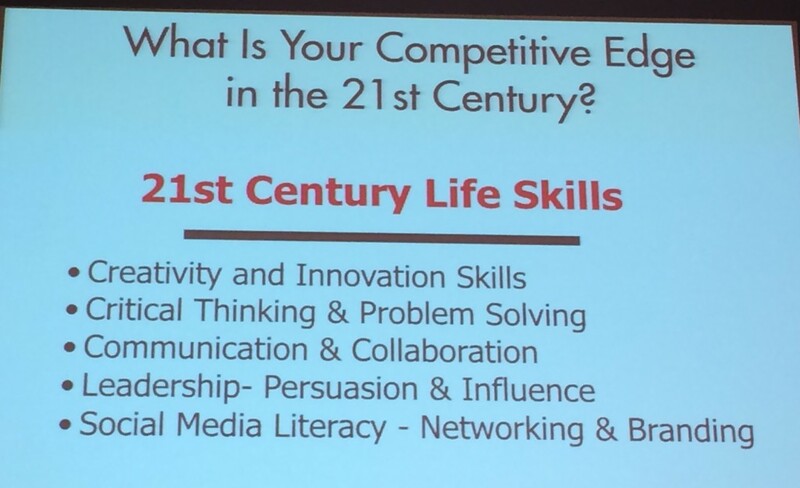 What are some of the basic competencies needed in the knowledge age? People skills – being able to relate well to people from all walks of life. Lifelong learning – being able to learn, relearn and unlearn. Ability to sell (especially yourself) – this is vital in all professions. Technical/vocational skills account for 10%. Personal mastery skills account for 45%. People mastery skills account for 45%. By acquiring these skills and capabilities, we will be better able to survive and more importantly thrive and succeed in the 21st century. What are your thoughts on these life and leadership lessons? Are they relevant to you? I am Adam’s biggest and most loyal FAN….and everything he teaches is 100% RIGHT..
can be a dangerous tool. NAMASTE ! Industry earning a RIGHT Livelihood and not slogging & stressed in soul-less corporate jobs.